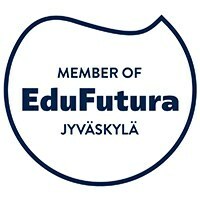 Courses in Computational Sciences in the 29th Jyväskylä Summer School. The University of Jyväskylä reserves the right to make changes to the course programme. Contents: This course deals with iterative methods for nonlinear ill-posed problems. After an introduction to linear regularization theory and a short excursion to Tikhonov regularization for nonlinear problems, we present gradient and Newton type methods as well as nonstandard iterative algorithms such as Kaczmarz, Halley, expectation maximization, and Bregman iterations. Our emphasis here is on convergence results in the sense of regularization where we intend to also sketch some of the proofs and show numerical results in order to provide insight on the regularizing mechanisms; if time permits, we will also give an outlook to all-at-once formulations and adaptive discretization. Learning outcomes: After successful completion of this course, students will know methods and corresponding convergence results on modern regularization methods for inverse problems, in particular iterative reconstruction methods. They will understand these convergence results as well as their proofs and will be able to apply these methods. Prerequisites: Course is aimed at PhD students and postdocs. Master students with good knowledge in functional analysis and PDEs could take part as well. Contents: Early 21st century computer scientists use a daunting array of programming languages and products. Data from the academic literature shows clear evidence that small differences in the design of these languages has an effect on human productivity, potentially impacting more than $407.3 billion in the U.S. alone. While how to evaluate the technical impacts of a programming language is rather clear in the literature, empirical methods are rarely taught in computer science. We will demystify the topic, giving students the tools to run and evaluate their own evidence-based experiments using state-of-the-art empirical methods. 3. Students will understand the history of data gathering and empiricism, including anti-fraud procedures, in disciplines like medicine, psychology, and epidemiology. Contents: This course unit covers risk, performance and decision modelling and analysis, including risk modelling and assessment, both single and multiple criteria decision modelling and analysis. Emphasis will be placed on the integrated applications of these methods and tools to performance and decision analysis. The aim is to familiarise students with the applications of decision modelling and performance analysis methodologies. 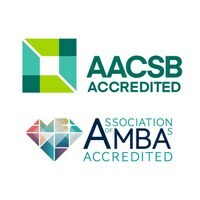 Learning outcomes: At the end of the course unit students should be familiar with concepts, methods and tools for risk assessment, decision tree analysis, and multiple criteria decision analysis, which they can apply to support decision making and deal with performance assessment and decision analysis problems. They should also be able to use appropriate software tools such as Excel and IDS Multicriteria Assessor. Prerequisites: Basics in statistics and probability theory. Course is aimed at Master/PhD levels.